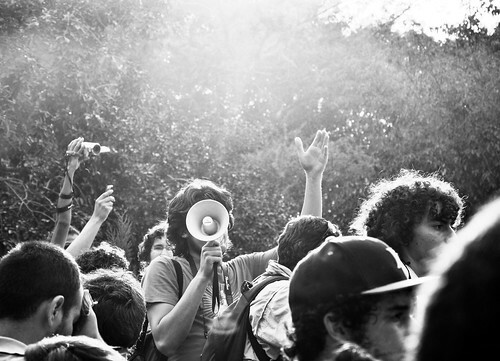 Online community platforms and advocacy campaigns have one major component in common: engagement. There have been several studies showing positive correlations between engagement with an association’s online community and positive transactional outcomes. Those who engage in the community are more likely to renew their membership, attend meetings, purchase products and recommend the organization to a friend. But what are the opportunities related to advocacy and promoting important legislative agendas? A plan is only as good as the execution and that execution begins and ends with marketing. If your members, advocates and donors don’t understand your strategy and goals and how their involvement helps all stakeholders and the overall mission, they are less likely to participate in your advocacy campaigns. That can be a challenge when you also need to make sure your organization can also adjust on the fly. Legislation can move and change at a moment’s notice - especially at the state level where sessions can be short and legislative processes might be unique and subtle. Most of the strategies and tactics that are used for advocacy are no differnt from the ones businesses use. The tools are very similar as well. If you’re going to successfully educate and mobilize people to win public policy issues, you will need some basic engagement tools. 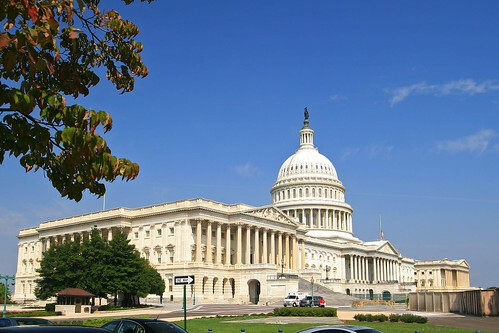 Advocacy software that educates and connects your advocates to their elected officials might be the most important, but there are many other tools that your organization should have in place for a successful advocacy campaign. ✓ Legislative tracking: Think of your legislative tracking system like your own personal Google for pending legislation. A tool like BillTrack50 will save you time researching and keeping on top of all the legislation that is important to your organization. Plus you can keep others up to date on the latest developments. ✓ Legislative landing page: Create a webpage for the action alert to link to that connects who the committee members or legislators are and summarizes the bill in simple terms that are easily understood and shared. 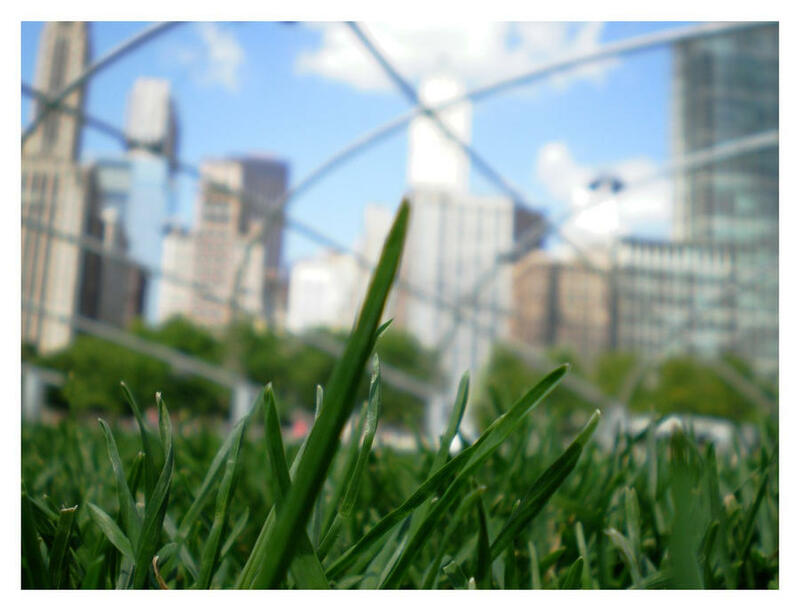 Place links to the blog post or embed the video in your legislative landing page. There should be one, clearly defined action step on this page. This is different from your regular website pages because it is linked directly to the bill you are asking for action on. ✓ Social Media: Social media should be a major component of your communication plan. It can help you organize and build support, reach the media and better inform public opinion, and most importantly reach policy makers. Consistent posting, with relevant content, helps build an audience. Use tool that has a social media platform like Hubspot or Hootsuite to schedule posts ahead of time, but also be flexible - post any breaking news and be sure to interact with your audience. ✓ Email: Use the link of the legislative landing page to send in your email communications to your segmented lists. Refer to your communication plan on how often to send emails and when. Let your recipients know how often you will be communicating with them and why. Mail Chimp, Constant Contact, or Hubspot are tools you can use to manage your email campaigns. With Hubspot you can also set up automated campaigns in a series based on actions, dates, or contact property values. ✓ Blog: Blogs are great ways to share information with your advocates and policy makers. Consistent blogging, fresh topics and inviting guest bloggers are great ways to build an audience. Make sure your website system not only supports a blog format, but makes it easy to manage subscriptions and notificationsand enables your posts to be shareable on social media. ✓ Video: Almost anyone today can create great video content. Record videos interviewing your organizational leadership, issue experts or someone impacted by your issue. Remember that visuals and personal stories can be very powerful advocacy tools. Post the video to YouTube and include a description that has a link to your fundraising page and/or legislative landing page. You can also use a branded video hosting platform like Wistia for your video content and measure the engagement. ✓ Survey. Never assume that what you know where your audience stands on an issue, and never, ever make up statistics to back up your advocacy claims. Create a series of surveys using tools like Survey Monkey to test the awareness level of the issue and the general sentiment. Include a link to the survey on your landing page, or use an advocacy platform that has built in voting and commenting features. Share your results (if they are favorable) with policy makers and on social media. If they’re not favorable, no one knows but you and you can adjust your communications to address it to hopefully swing stakeholder opinion your way. ✓ Events: A mix of online and offline tactics can help spread your message and show the strength of your support. Press conferences, advocacy days, marches and protests can all be offline tools that can raise awareness of your issue. Integrate your social media and other online tools to promote these events and spread your message beyond just the original attendees. Eventbrite is a popular online event management tool. What is in your advocacy toolkit? How are you making it easy for your members and stakeholders to educate themselves and engage with their elected officials? Large numbers and loud voices—not required! A lot of people think that the success of a grassroots campaign rests on large numbers and loud voices. But it isn’t the amount of money or the number of members that make or break a grassroots campaign. It’s the design. If you start from the bottom, build a strong base, andgrow from there, you will be off to a great start. But how, exactly, do you design a grassroots campaign that really, really, works? Let me explain. All bills generally follow the same path through the US Senate and House of Representatives. The process consists of 14 steps, each of which provides opportunities for your advocacy organization to influence the outcome. When you align your advocacy activities with the 14 steps, you will be able to effectively engage and inspire members to get involved. If you also give your members easy and effective ways to take action, you are likely to make a major impact and influence policy. Last week’s ASAE Annual Meeting was my first, and we were busy in Booth 809. I had over 50 conversations with association executives, and there were so many advocacy-related educational sessions that I would have had to clone myself to get to them all. Several themes emerged. The first thing that struck me was the theme I often hear at nonprofit conferences: “We are not nonprofit, we are for purpose." As someone who comes from the for-profit sales and marketing world, I see this as something that gives associations an advantage. This isn’t about widgets and stock prices, this is about people and purpose, and making the world a better place. Seth Godin will be a keynote speaker at this year’s ACCE Conference in Cincinnati. I am certainly interested to hear what he will say. If you aren’t familiar with Seth’s work, here are a few memorable quotes from six of his 17 books covering the topics of how ideas spread, leadership and—most of all—making effective change in the world. Every one of them applies to creating more effective nonprofit advocacy. On my drive home last week, I listened to an NPR story describing Glenn Beck and his “a live, interactive ‘night of action’ against the Common Core State Standards.” Glenn Beck has argued vocally against the educational standards that are now in place in 43 states. 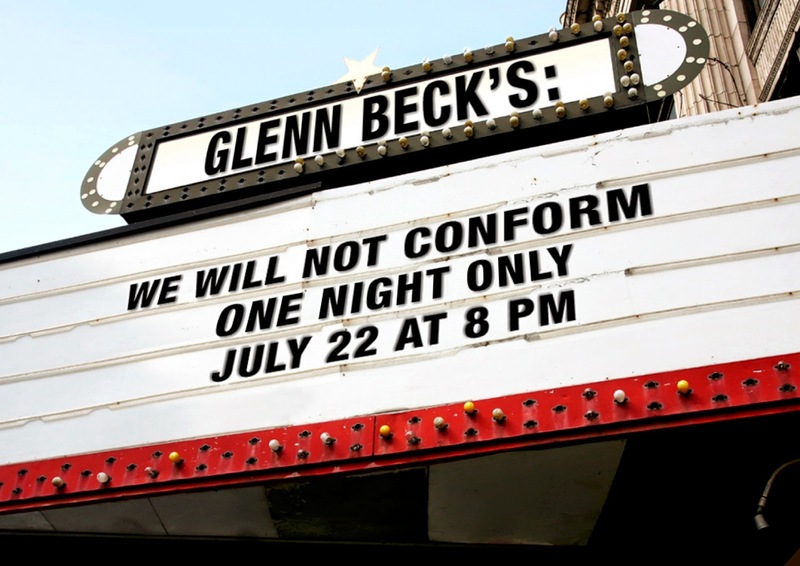 The story goes on to describe Beck’s mission to inspire a movement by creating a documentary movie on the subject, called "We Will Not Conform." Reporting from a number of theaters where the documentary was aired, the commentator describes how Beck plays on emotion as he tells parents, teachers, administrators and other movie viewers that our nation's most valuable asset, our children, are at risk. He appeals to logic, discussing how the Core supports corporate interests with several panels of experts and activists. Every night, after the movie ends, Beck asks viewers to stand up and discuss their thoughts and ideas. If this is Beck’s plan to start a movement—to educate, engage, and mobilize individuals—he is missing a big piece of the puzzle. The American Red Cross is a humanitarian organization that provides help to those in need. Whether in an emergency or during everyday struggles, the Red Cross aims to be there to help. Thousands of organization employees, volunteers, and donors work together to offer services for disaster relief, support of military families, education on health and safety, global humanitarian work, and blood drives.